Synthetic polymers are ubiquitous—nylon, polyester, Teflon and epoxy, to name just a few—and these polymers are all long, linear structures that tangle into imprecise structures. 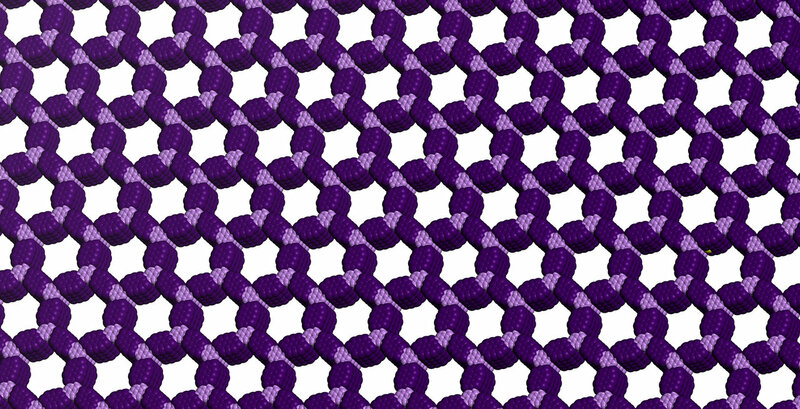 Chemists have long dreamed of making polymers with two-dimensional, grid-like structures, but this goal has proven challenging. The first examples of such structures, now known as covalent organic frameworks (COFs), were discovered in 2005, but their quality has been poor and preparation methods are uncontrolled. 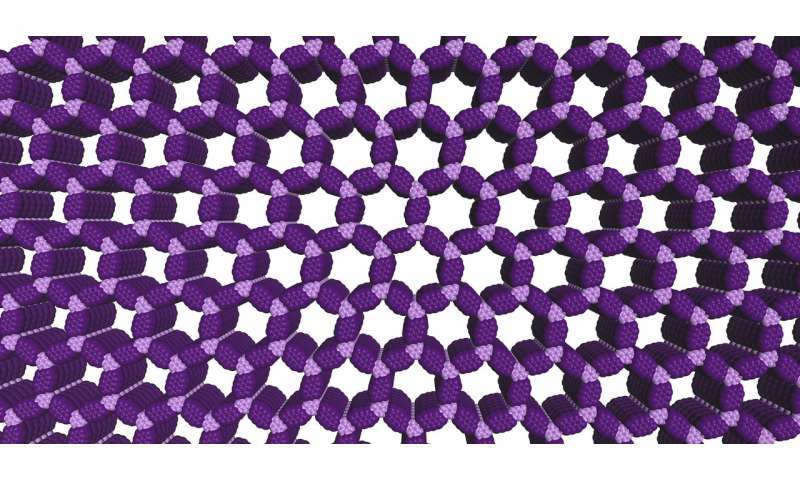 Now a Northwestern University research team is the first to produce high-quality versions of these materials, demonstrate their superior properties and control their growth. The researchers developed a two-step growth process that produces organic polymers with crystalline, two-dimensional structures. 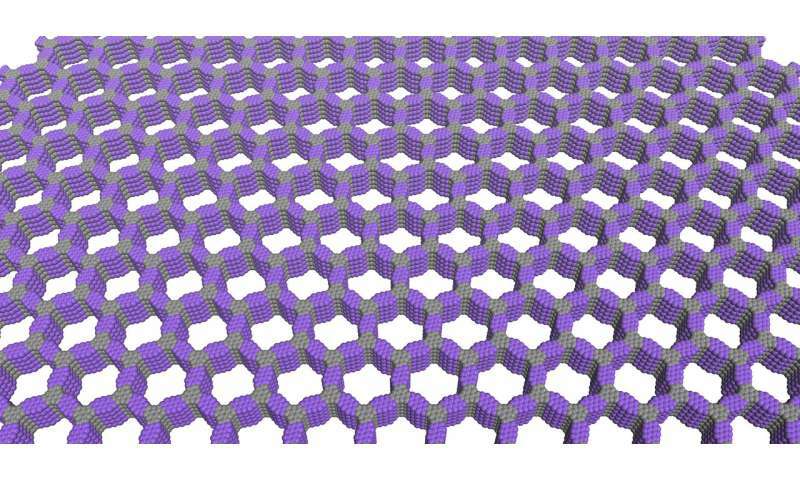 The precision of the material's structure and the empty space its hexagonal pores provide will allow scientists to design new materials with desirable properties. Even low-quality COFs have shown preliminary promise for water purification, storing electricity, body armor and other tough composite materials. Once developed further, higher-quality samples of these materials will enable these applications to be explored more fully. 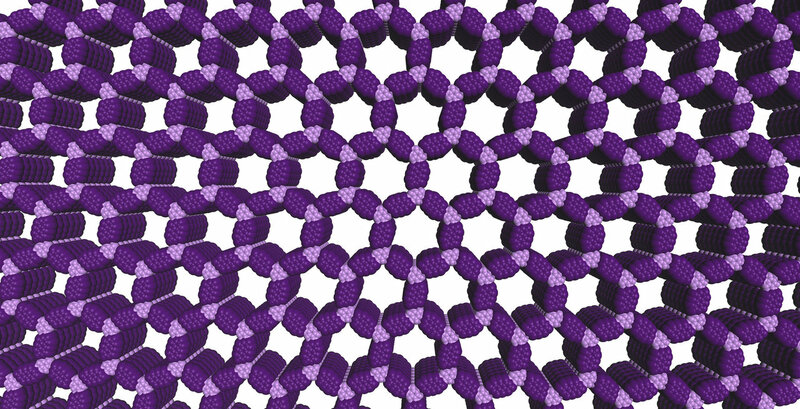 "These covalent-organic frameworks fill a century-long gap in polymer science," said William Dichtel, an expert in organic and polymer chemistry who led the study. "Most plastics are long, linear structures that tangle up like spaghetti. 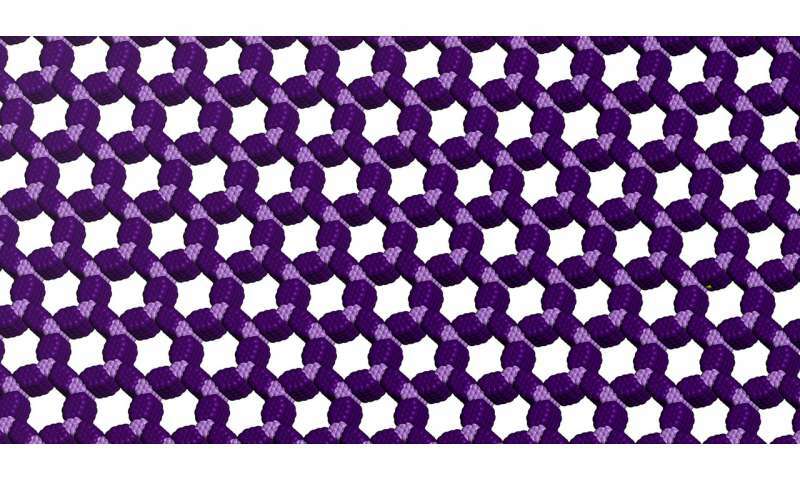 We have made ordered two-dimensional polymers where the building blocks are arranged in a perfect grid of repeating hexagons. This gives us precise control of the structure and its properties." Dichtel is the Robert L. Letsinger Professor of Chemistry at Northwestern's Weinberg College of Arts and Sciences. The 2-D COFs have permanent pores and extremely high surface area. Imagine the surface area of a football field contained in about two grams of material, or two paper clips, Dichtel said. Every little hole is the same size and shape and has exactly the same composition. In the two-step process, the scientists first grow small particle "seeds" to which they slowly add more of the building blocks, under carefully controlled conditions. The slow addition causes the building blocks to add to the seeds instead of creating new seeds. 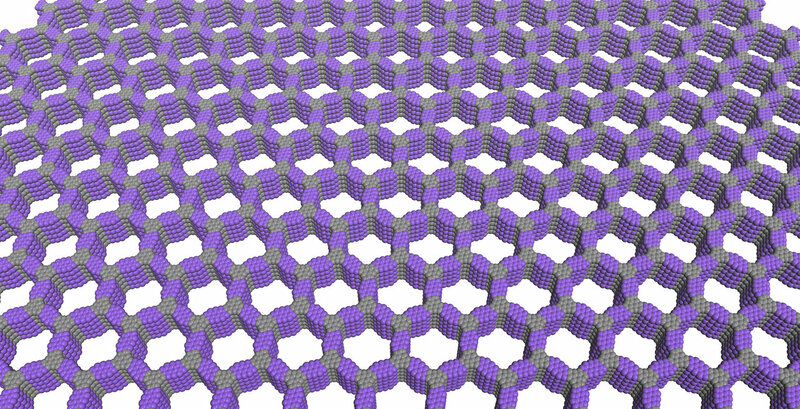 The result is larger, high-quality particles made up of large, hexagonal sheets instead of a bunch of aggregated crystals. "This is primarily a synthesis paper, but we also measured properties that emerge only in these high-quality samples," Dichtel said. "For example, we show that energy can move throughout the structure after it absorbs light, which may be useful in solar energy conversion." Once the 2-D COFs were grown, fellow chemists Nathan C. Gianneschi and Lucas R. Parent carefully studied the particles using an electron microscope. They confirmed the particles are individual and not aggregated and are perfectly uniform throughout the entire structure. Gianneschi is the Jacob and Rosaline Cohn Professor in the department of chemistry in Weinberg College. He also is a professor in the departments of materials science and engineering and of biomedical engineering in the McCormick School of Engineering. Parent is a postdoctoral fellow in Gianneschi's group. Both are co-authors of the paper. Next, Lin X. Chen and Richard D. Schaller measured how one of the materials interacts with light. Their studies show that energy can move through these materials for much longer distances than the sizes available through old methods. Chen is a professor of chemistry, and Schaller is an assistant professor of chemistry, both in Weinberg. Both are co-authors of the paper. "This study has been very gratifying—to successfully grow these materials and begin to see their promise," Dichtel, who has been studying COFs for a decade. "We think this development will be enabling for the field of polymer science."